Nata Dzvelishvili - executive director of the Georgian Charter of Journalistic Ethics since 2015, while she was a member of the Charter in 2010. Nata is invited lecturer at International Black Sea University. 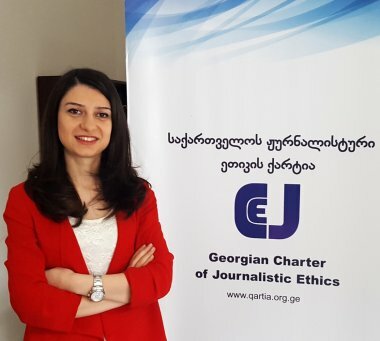 Prior to this Nata Dzvelishvili worked on media issues for NGO Institute for Development Freedom of Information (IDFI). She also was one of the authors of media criticism portal mediachecker.ge and the project coordinator of the Training Center for liberalism. Both projects were implemented by the Charter. 2010-2014 Nata worked as a journalist for www.media.ge. She is the author of several papers and studies.